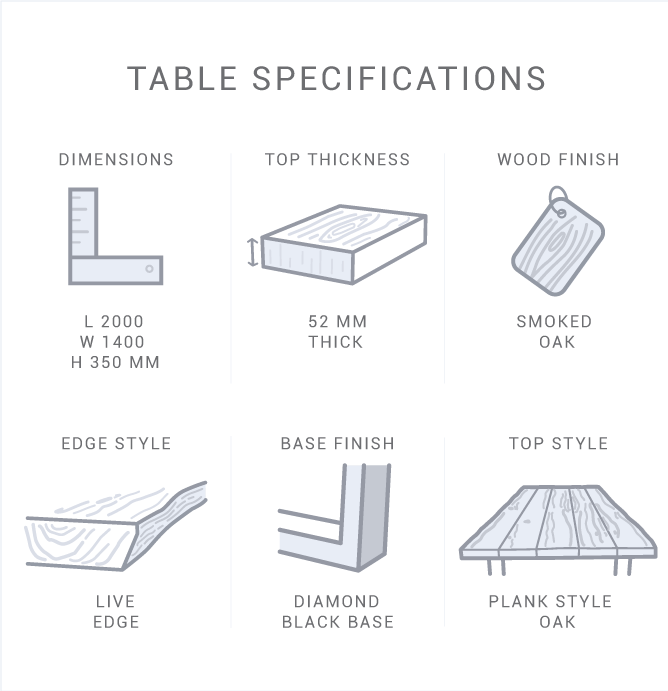 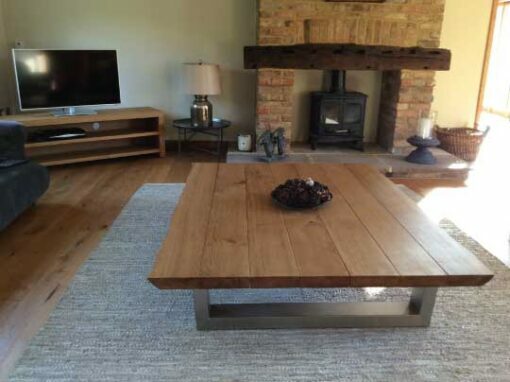 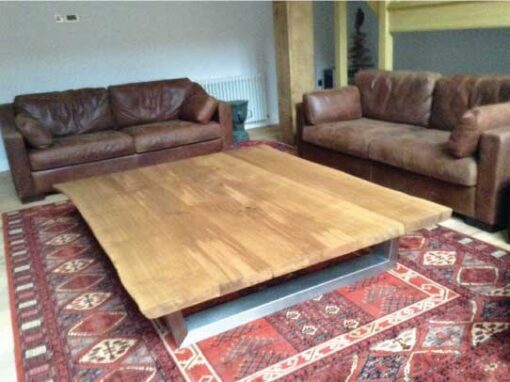 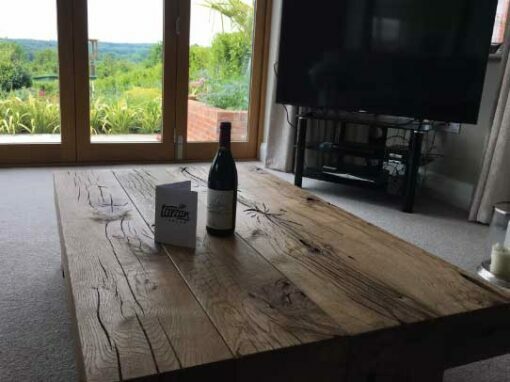 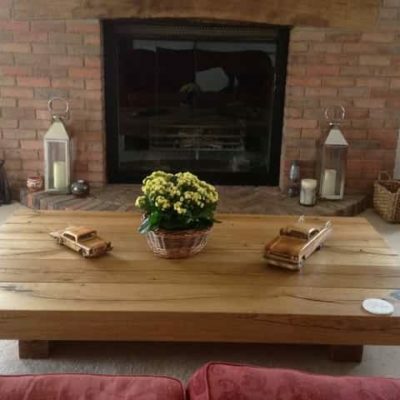 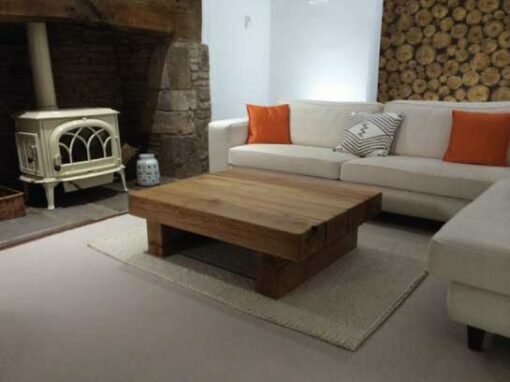 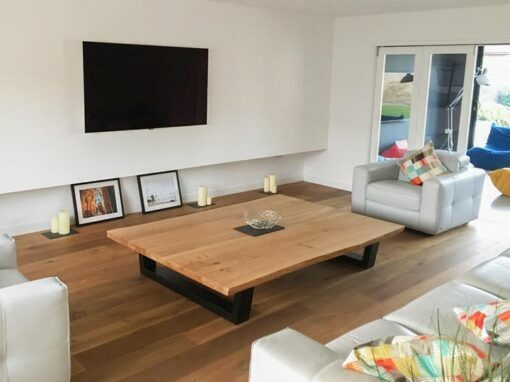 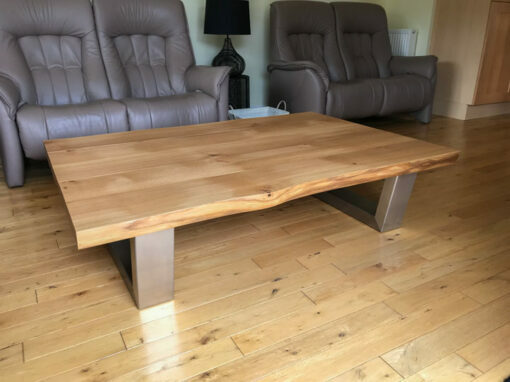 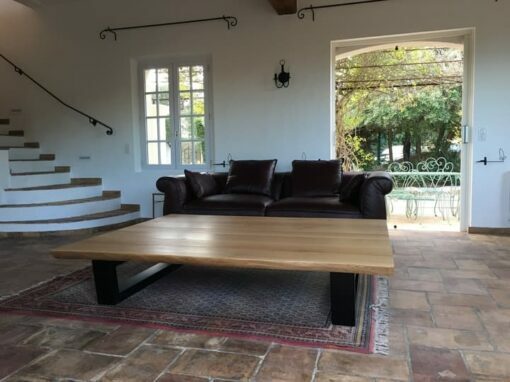 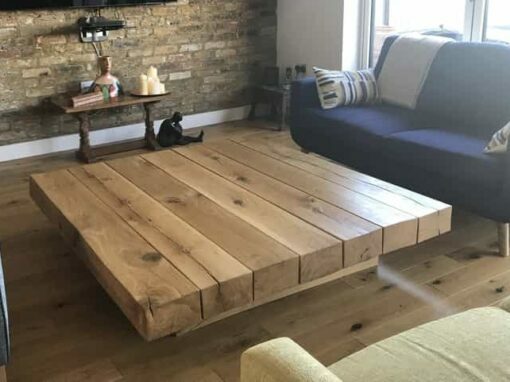 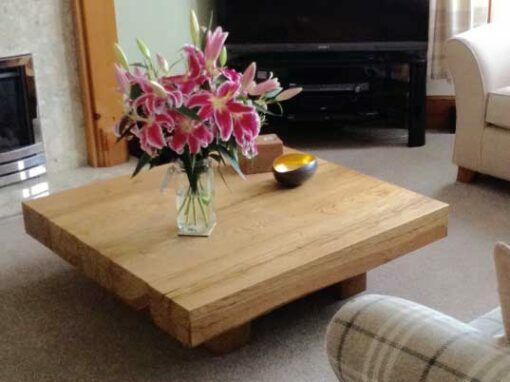 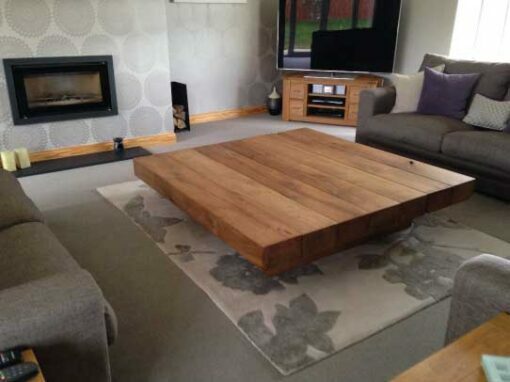 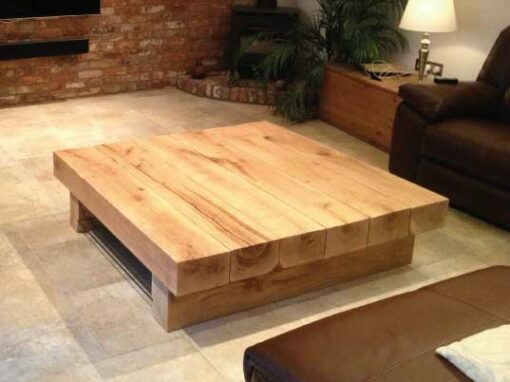 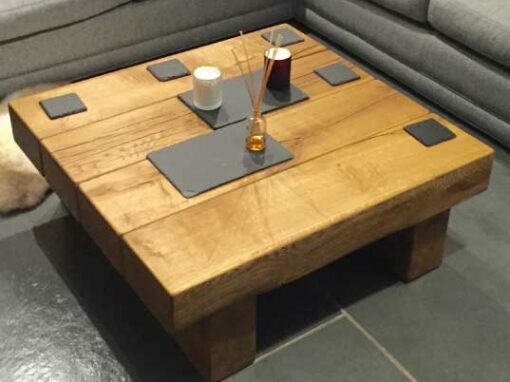 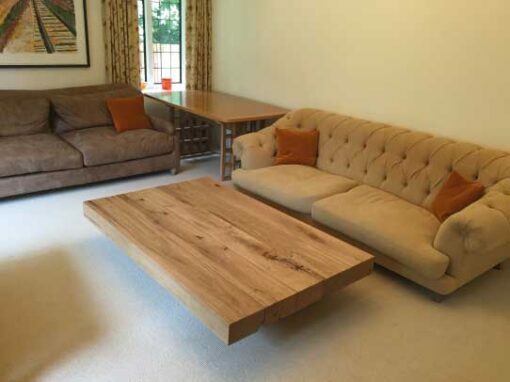 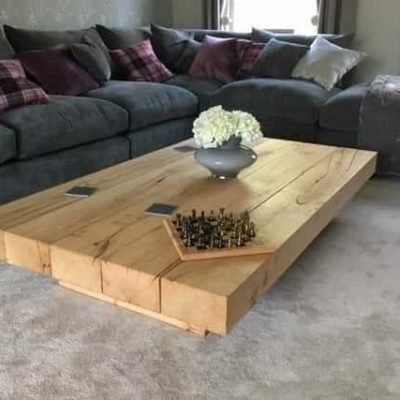 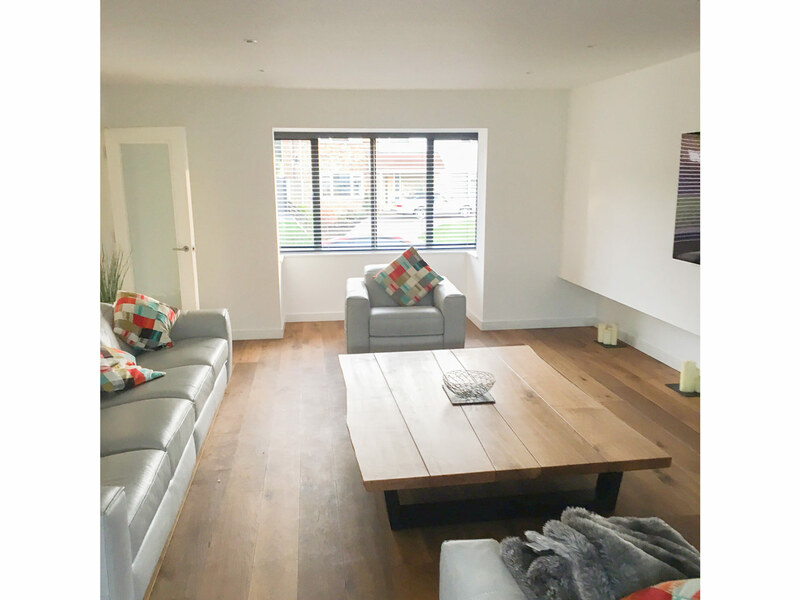 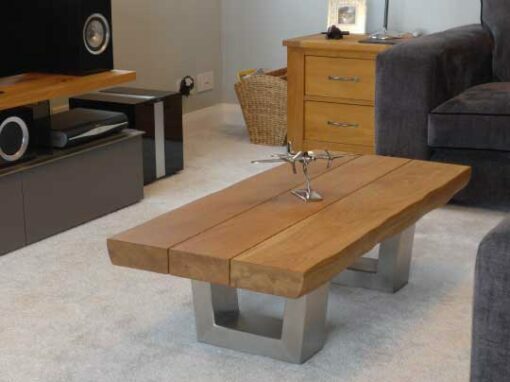 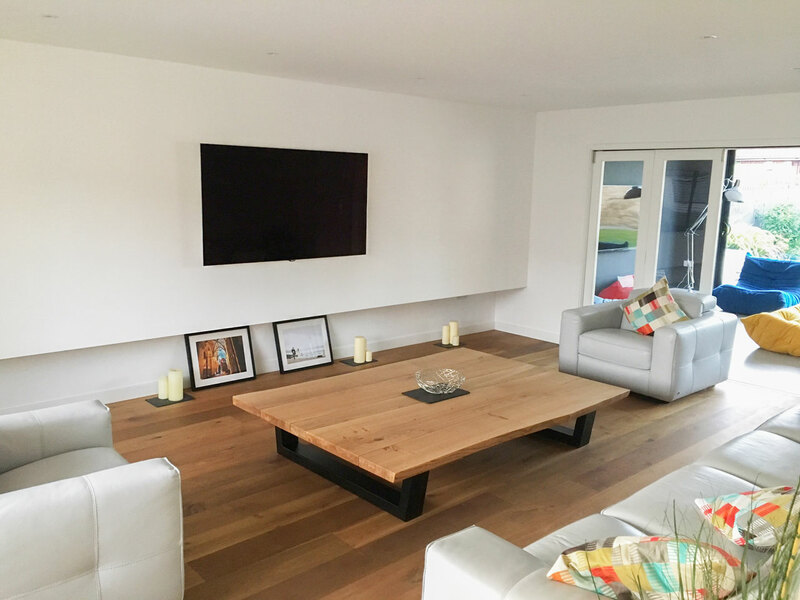 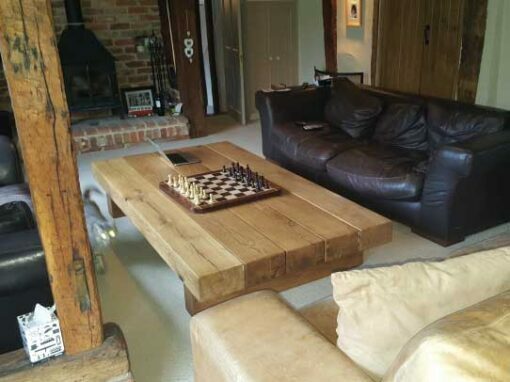 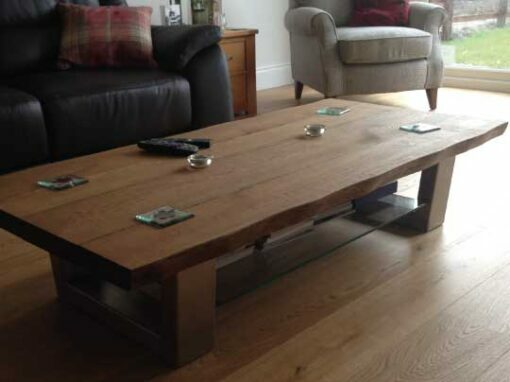 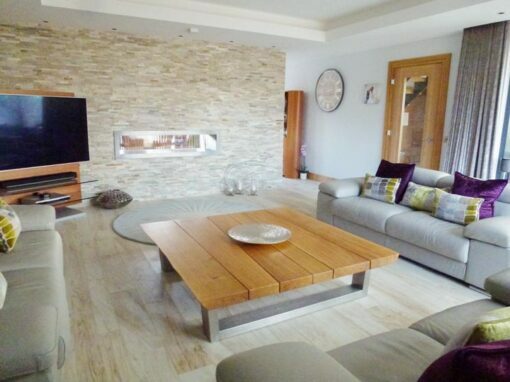 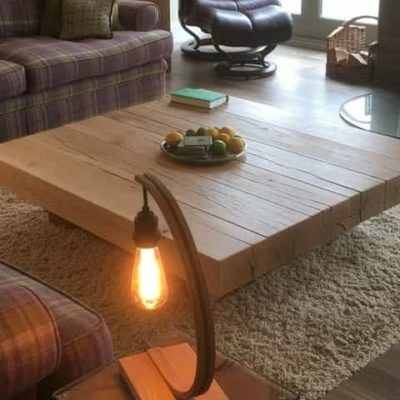 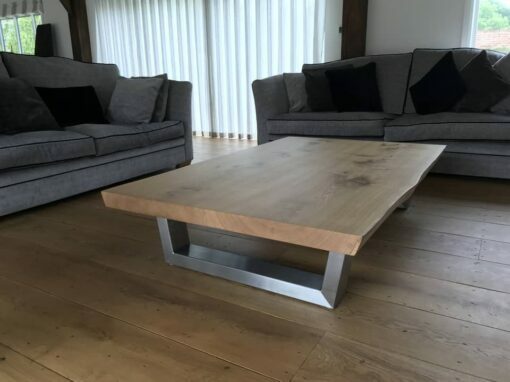 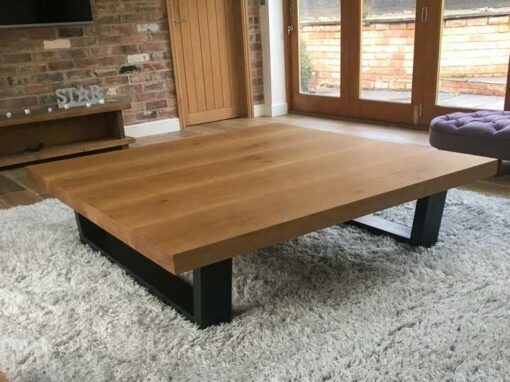 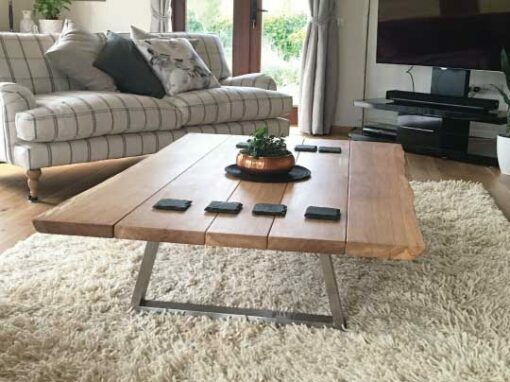 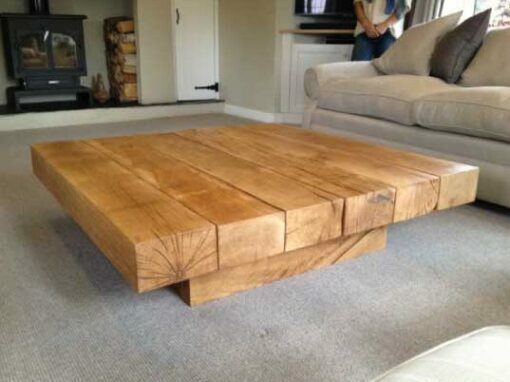 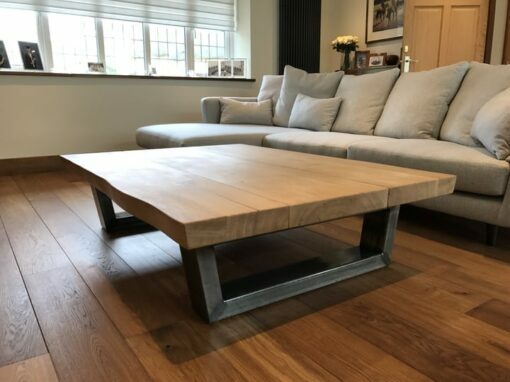 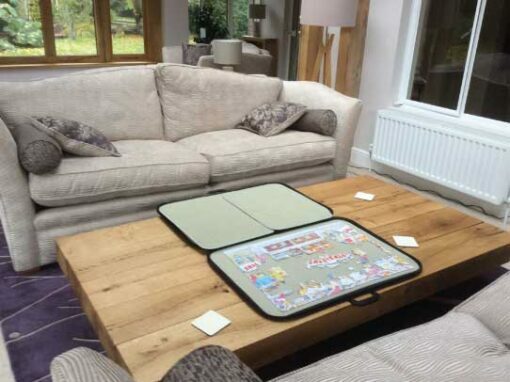 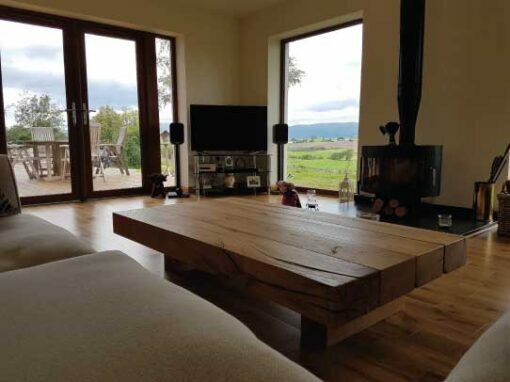 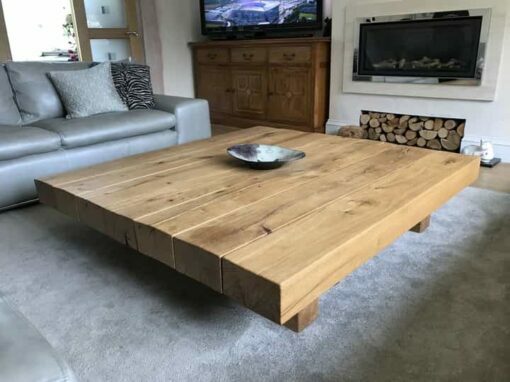 This extra large coffee table was specially made for the customers newly built house. 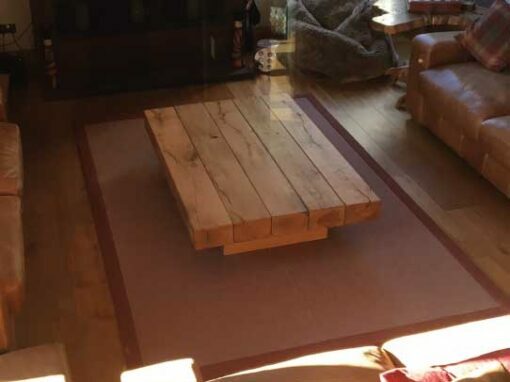 The floor was carefully marked out with masking tape to help visualise how the table would fit. 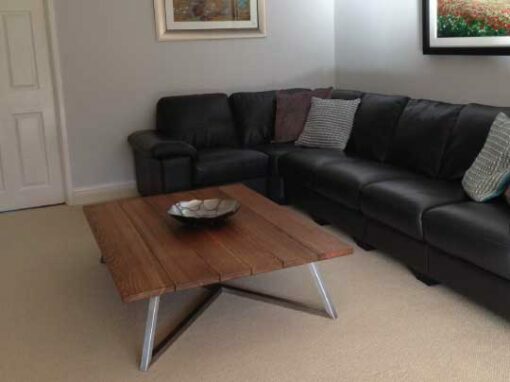 The legs were powder-coated in diamond black which fits the room well and makes a striking centre-piece.